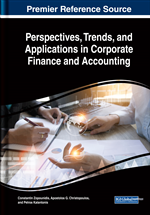 The goal of this chapter is to assess the influence of specific corporate and market features on Greek firms' profitability and the determination of the optimal debt ratio before and during the Greek crisis. The empirical results exhibit an average profitability of 6.97%, which varies significantly both between firms and during the time period examined. Another finding of this study is the verification of the theoretical relationship between the independent variables and Greek firms' profitability between 2005 and 2016. Related to the determination of the optimal debt ratio of Greek firms, the authors found that during the first sub-period examined (before the Greek economic crisis – 2005-2009), the results extracted are not consistent with the MM theory in contrary to the second sub-period (the period of the deep recession 2010-2016). During this period, the optimal debt ratio is estimated to be 40.9% and the turning point decreased considerably compared to the whole period sample (52.6%) 2005-2016. The study of the course of profitability consists a scientific timeless phenomenon and is very important for the strategy companies will follow in the long-run. Recent literature examines firm’s profitability as independent variable, using for its computation financial indicators as net operating profitability (NOP) (Raheman et al., 2010), (Dong and Su, 2010), return on total assets (ROTA) (Deloof, 2003), (Padachi, 2006), return on invested capital (ROIC), return on assets (ROA) (Narware, 2010).